They don't call the USS Nitze a destroyer for nothing. 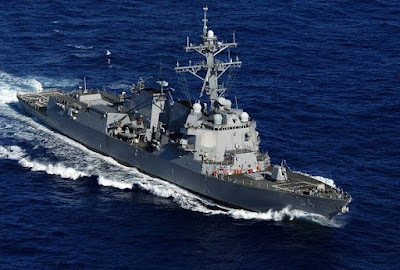 The ship is manned with multiple modern weapons systems and is quite capable of dispatching four Iranian boats, and much more, yet the risk-adverse civilian and military leadership at the helm in the Pentagon allowed this multi-million dollar warship to be harassed by the second-rate Iranian navy, just as the U.S. Navy allowed the Iranians to capture our boats and sailors a while back. And, you may recall, Secretary of State John Kerry publicly thanked the Iranians for the humiliation. Clearly, the Iranians - and the rest of the world - have no respect for the United States Navy. Note: The USS Nitze appears in the above U.S. Navy photo.